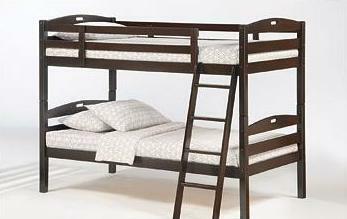 Our new simple twin over twin bunkbeds come in white, cherry or chocolate as shown for the young set. Also available in twin over full size. Both separate later into two beds. 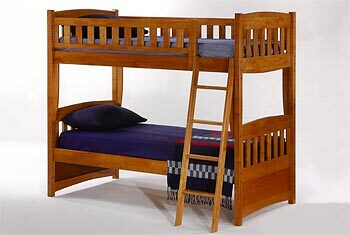 Add drawers or a trundle now or later for more storage or sleeping space. We have chests and night stands to match.